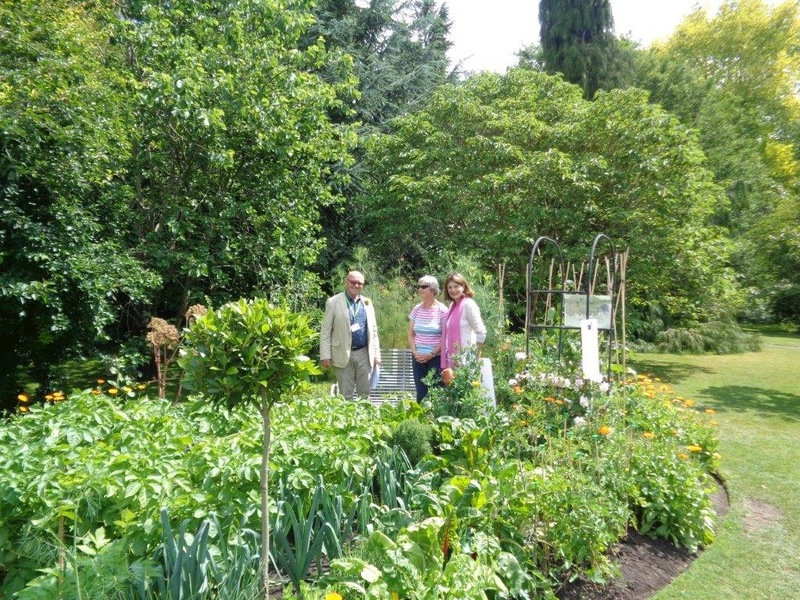 July has all been about the Garden putting on its ‘Best in Show’ face for the Bath Women’s Institute Centenary Garden Party. All that planning, planting, tying in and tending paid off, and what a colourful kaleidoscope of flowers, herbs and vegetables presented itself to the guests on that perfect hot evening in July. Another happy Event ! 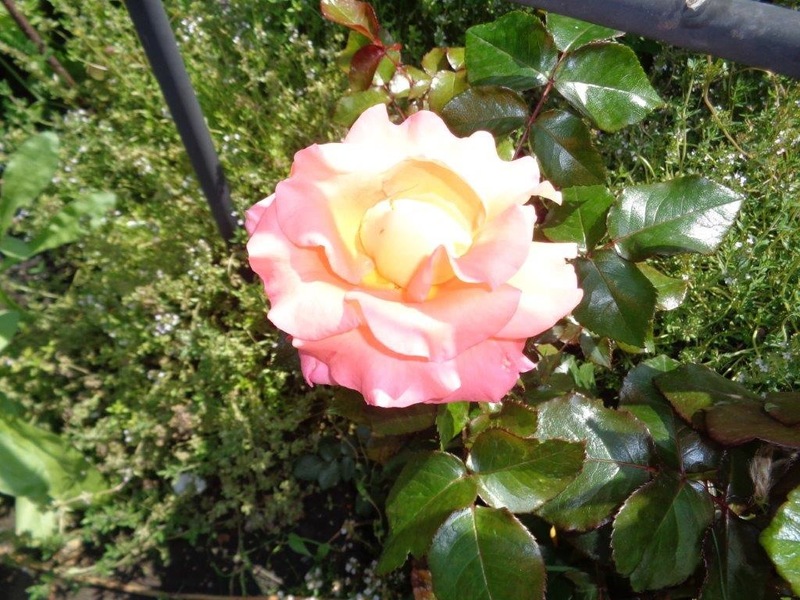 The WI Centenary Rose, Inspiration, planted by Jess , was in full bloom ! And it’s a real beauty ! 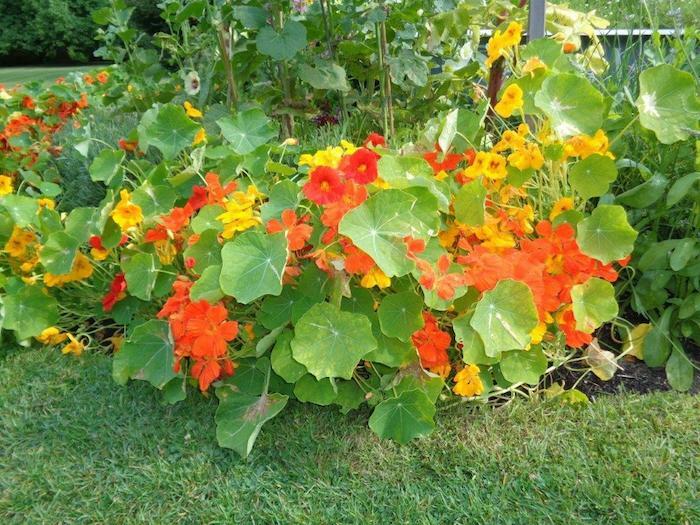 Everyone has a favourite plant, and its fun to look at everything growing in the WI garden and decide whats yours. 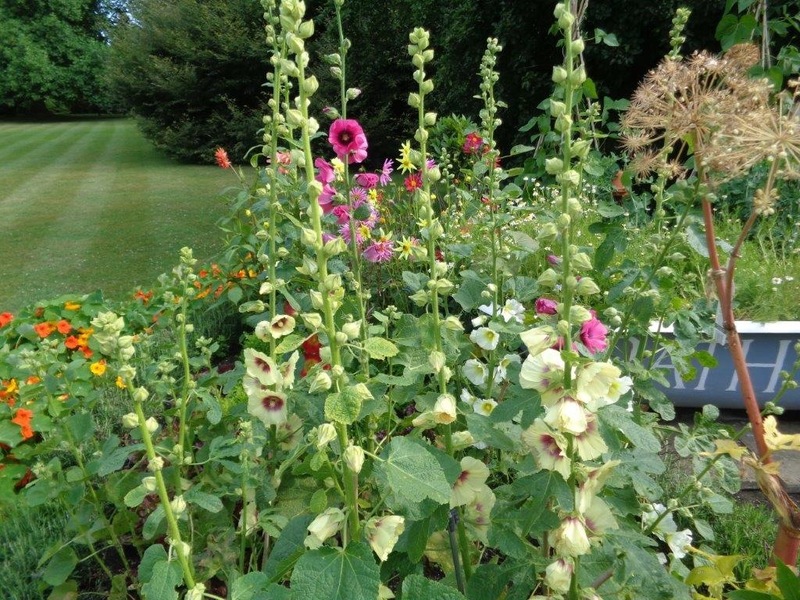 Is mine the hollyhocks? or those wigwams of peas ? How can one choose when everything looks so lovely !